As a backfiller, the Power Dozer ensures a controlled flow of material, the fine particles tend to flow ahead, under and around both sides of the pipe. 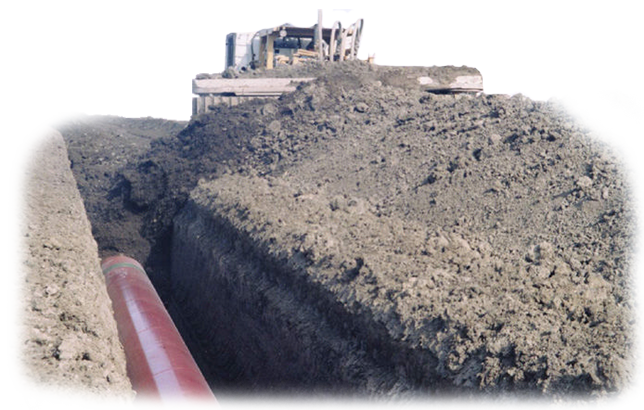 Larger chunks of material have a tendency to spread to the far side of the ditch where they will not damage the pipeline coating. 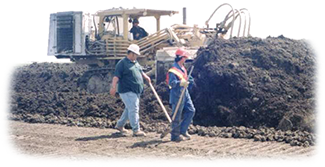 This backfilling process allows an inspector to examine material and check for rocks or other undesirable debris. The Power Dozer backfills in excess of 20,000 cubic meters per hour at a speed of 3 kilometers per hour. On a pipeline, the job isn’t finished until the land is restored to its natural state. Relocation is achieved with minimal mix of clays and topsoils. The soil is put back evenly with minimal compaction. FIND OUT MORE.